Emily Chang – Designer » ADD is a weblog finalist in SXSW! ADD is a weblog finalist in SXSW! 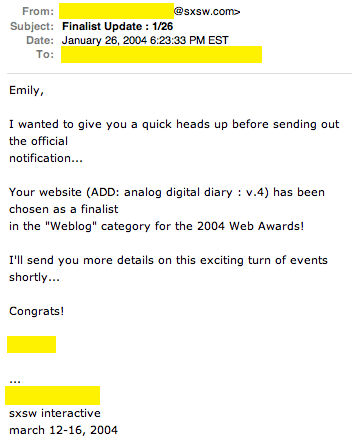 Honored to find out that ADD has been chosen as a finalist in the weblog category for SXSW 2004! Can’t wait to go to the event in March.